Sports betting is a multi-billion-dollar industry. But outside of the casinos in Las Vegas, Nevada, it has traditionally been run and controlled illegally by the criminal underworld or shady offshore enterprises. That all changed when the Supreme Court determined that any state can choose to legalize sports betting in the landmark case of Murphy v. NCAA. 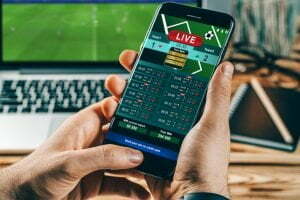 States are now free to enact legislation that permits online or live site sports betting in their jurisdiction. ESPN has a state-by-state tracker that does an excellent job of updating that status of legalization and pending legislation around the country that you can find here. The state laws and legislation vary greatly and must be closely analyzed to determine the scope and extent of sports gaming in each jurisdiction. My firm, Offit Kurman, and I will be monitoring this activity, as well as the opportunities available to individuals and businesses that are interested in exploring opportunities for licensure, permitting and other ways to get involved in this emerging marketplace. With New Jersey, Pennsylvania, Delaware, and West Virginia already in the fold, we see the District of Columbia and perhaps even Maryland following close behind. We will keep you updated on these legal developments and opportunities for business development in the industry. If you have any questions on this topic, contact Jef Fagan at 301.575.0386 or jfagan@offitkurman.com. James (“Jef”) Edward Fagan, III is a seasoned litigator and counselor with over twenty-five years of experience as a practicing attorney. He has represented both small and large companies and has spent one half of his career as in-house counsel to two large governmental entities. He brings a mature and measured approach to legal matters, and his primary objective is the prompt and efficient resolution of disputes and legal concerns. Jef’s core practice areas are labor and employment, commercial litigation, government contracts and education law.